Letâ€™s put it this way. If you bump into an inked Delhiite and ask him/her the obvious who-where-when and how, chances are that Devilz Tattooz studio will be your top answer. Why, you ask? Because the impeccable artist holding the gun, Lokesh Verma, has made it so, and his unbinding success is nothing short of extraordinary to prove the same. 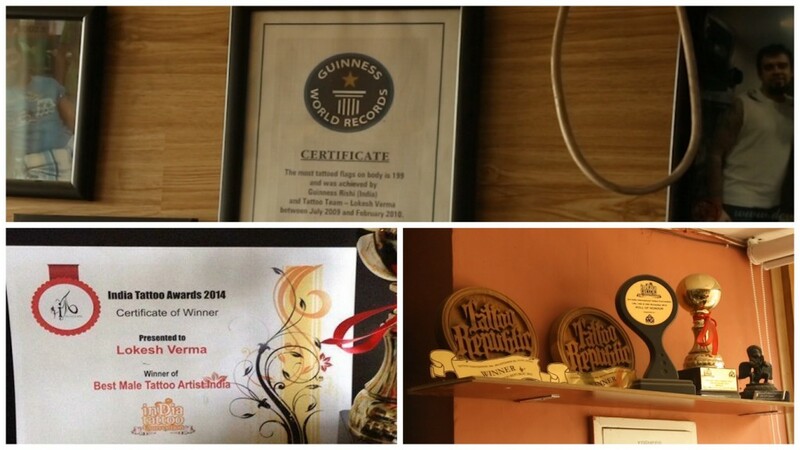 What started out in 2001 as his part-time entrepreneurial endeavour is today one of India’s leading tattoo art chains. In fact, his clients’ testimonies, and clientele in large (mind you, lots of celebs in here), are reasons enough for you to waltz your way to the studio right away. But that is not what we’re getting into here. We trace this one back to his early college years when he was still pursuing his MBA and interning at a firm part-time. Up until 2001, tattooing was no where on the cards for him. He went professional only in the year 2005 with a studio of his own in Vasant Vihar, New Delhi. When he came out with his future plans to his parents, like every other Indian parent, they were left aghast. But, where there’s will, there’s always a way, and no one could stop the Devil. Lokesh’s struggle period is packed well within the time period where, besides Funky Monkey, his was the only (and a newbie) studio in town. The studio rent was as heavy as a lakh rupees and, because tattooing was not as common as it is today, there were barely any clients for him to cater to. He would DJ post nightfall at Club Tonic to make ends meet. In fact, here is where his friends gave him the ‘DJ Devil’ tag, which today is an integral part of his brand. He sure has turned the tables for himself and is going strong. Like every great artist, Lokesh too is driven by immense love for his art. 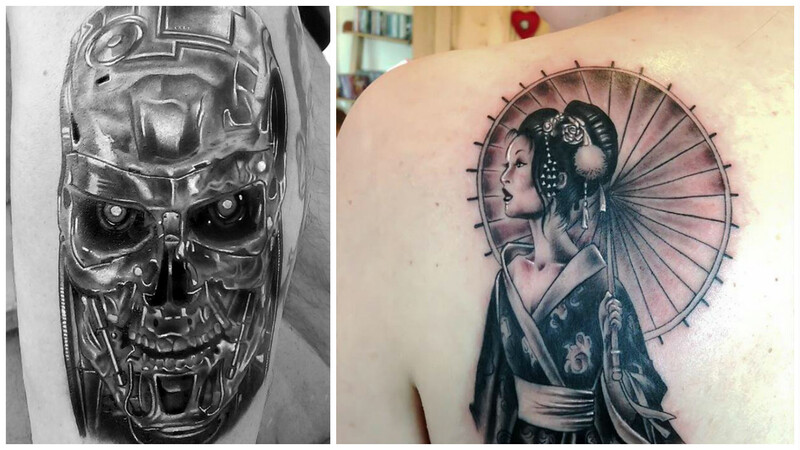 You might think his favourite part about tattooing is simply creating brilliant designs, but no, there’s a lot more to it. His favourite part is to educate his clientele and break myths that surround this art form. People come up to him with ridiculous theories on how tattoos lead to cancer, but he assures them of the USA FDA approved equipments that he works with and examples of millions of people who have cancer but have never been inked. A logical rebuttal indeed! 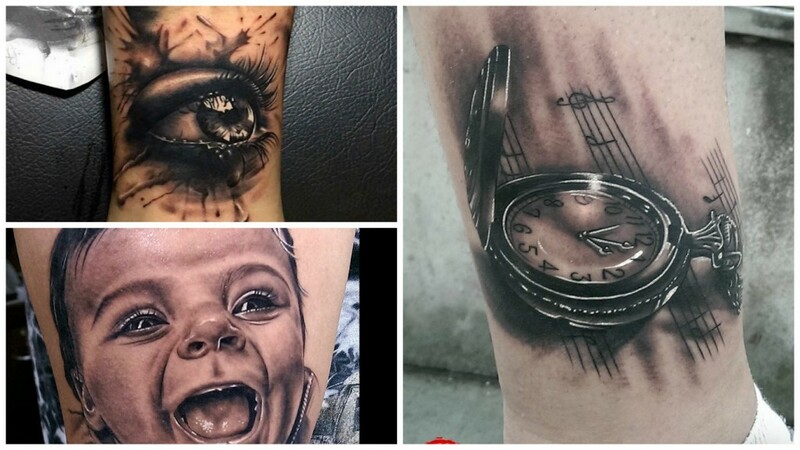 Choosing from a wide range of tattoo styles such as the tribal prints, portraits, realism and dots, Lokesh rocks the skill set required for realism and portraits. He has specialised in the field for 12 years now and wants to bring in a more colourful range of portraits for the cult. 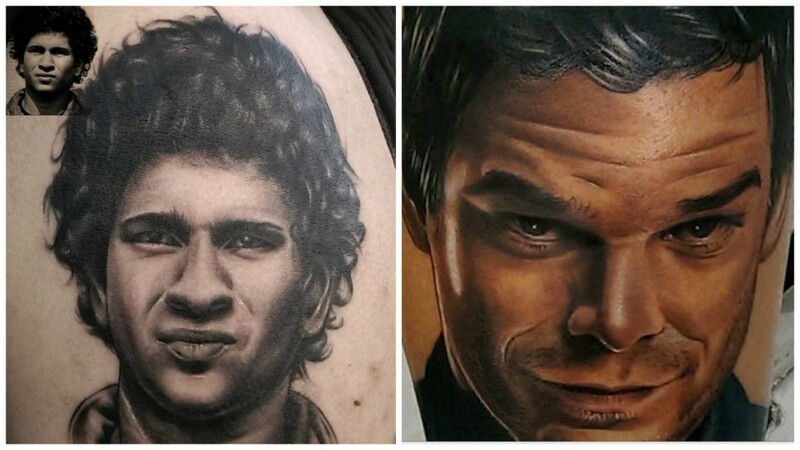 Tattoo designs for men on their arms, back and legs that he has excelled in includes portraits of Sachin Tendulkar, Marilyn Monroe and characters from popular TV shows such as Dexter and Breaking Bad. And thanks to him, tattoo designs for girls have also evolved from the usual funky sets of hearts and stars to many more elaborated ones. Why Should You Shell out a Large Sum For One of His Creations? The tattoo guru has spoken and well. Like any other creative field, it is the experience of the artist which counts. His is one of a kind for us in India. 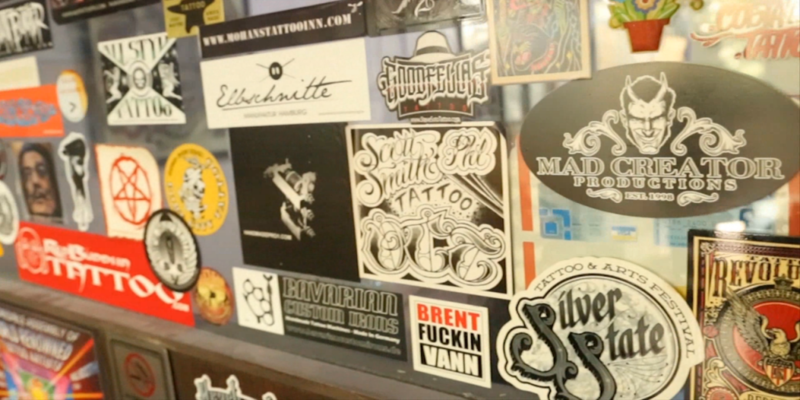 A pioneer in the field, he could well be the Bachchan of the tattoo industry. Like he says, “Everyone’s work is not the same, and so everyone cannot charge the same. A guy who has just tattooed for 2 years and the guy who has tattooed for 12, cannot charge the same, because of the experience, the kind of expertise they have, the finishing, the practice.” Now, you really shouldn’t mind emptying your pockets for someone with this kind of expertise. Earlier, for Indian clients, tribal was their go-to design. But over the years, with more awareness, knowledge and resourcefulness, the clients have evolved. Lokesh speaks of this shift as a progressive change in the clients, who now put thought into their demands and look for meaningful artwork, and not opt for anything at random. It could do with their religious beliefs, their families, and ideas on life in general. A more personalised platform is what we are looking at. 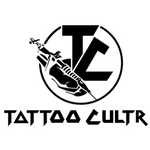 Lokesh strongly believes that while we’re at a good place culturally with tattoo art, we still have a long way to go. After working in places like the USA and many countries in Europe, there is a lot more which can brought to our attention, which can be explored. It’s up to us to value our artists and their work and not haggle over expenses all the time. A cheap work from a place like Palika Bazaar will never fetch the quality of a Devilz’, and this is exactly what we need to understand. Instead of paying an extra sum later to make the cheap work look better, we might as well pay adequately in the beginning Â for a good designer.Â We need to walk into the lifestyle of it and not just settle for a piece to show off. 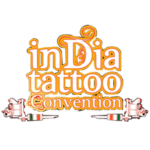 Bringing in the big news here, Lokesh, along with many national and international tattoo artists, is holding a tattoo convention in the first weekend of December 2015, that is the 4th, 5th and 6th of the month at Indira Gandhi Stadium, New Delhi. A first of its kind in India, it will be free of cost for the public. 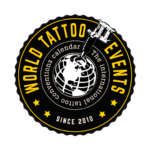 The idea behind this is to educate the clientele on everything that goes in the tattoo-making business, the equipments, the cost, the taboos and the myths. You can watch the entire interview here to know exactly what we are talking about. Lokesh Verma has come a long way, and while there is no denying that he has a lot more to achieve, he has taken the road less travelled. It’s up to us to choose now; whether we want to join him and spread the word in making a difference as individuals, and society in large, or to sit back with a narrow minded, less explored perspective. For art of this kind to thrive, a lot of support and initiation is required, and if you guys, the vibrant youth of the country who likes to fiddle with everything gangster and exuberant, can’t make it work, we don’t know who can. We wish him all the best for his future endeavours.